The creative arts: painting, drawing, sculpture, print-making and photography, the literature of the irrational and unexplained. The esoteric tradition revisited, with an extensive chronological survey encompassing the movement’s foundational texts and print iconography. 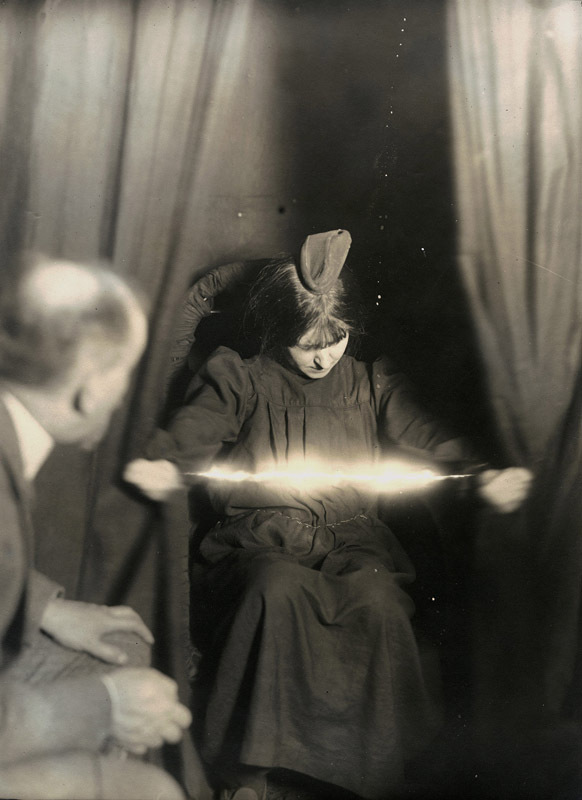 The relationship between occult phenomena and the scientific world, through key scholarly figures and thinkers, and an examination of their experiments and scientific instruments. 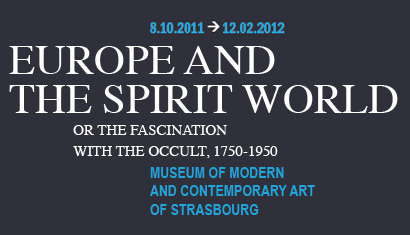 With some 500 works of art, 150 scientific artefacts, 150 books and 100 documents from a host of European countries, Europe and the Spirit World will be presented in a dedicated 2500-m² space at the the Museum of Modern and Contemporary Art of Strasbourg. This exhibition has been awarded ‘national importance’ status by the French Ministry of Culture and Communication / Heritage department / French museums service, and has received State financial support in the form of an exceptional grant from the Ministry. The esoteric tradition has been a feature of Western civilisation since the earliest times – a tradition that has come down to us in the form of esoteric writings, and the engraved illustrations that so often accompany them. The BNU’s encyclopaedic holdings include a section on occultism and other beliefs, encompassing major, foundational texts of the modern and contemporary periods. The collections of papyri, manuscripts, incunabula, rare and fine books, and Alsatic texts, together with texts devoted to religious science and literature, offer a revealing – but by no means exhaustive – survey of a rich corpus. Historic texts complement the displays of visual artworks, presenting major works in their original, first editions, and highlighting the work of the publishers, printers, engravers and illustrators who established the esoteric tradition and kept it alive, down to the present day. The section aims to focus on works by the movement’s leading authors, at key moments in its long history throughout Europe, and beyond. Complementing the scientific displays included in the main exhibition, the section also presents key scientific works exploring spectral apparitions and other supernatural phenomena, together with an overview of the contact between scientific, mystical and esoteric thought down the centuries. Pythagoras, Plato, Virgil, Dante, Master Eckhart, Marsile Ficin, Cornelius Agrippa, Paracelsus, Lavater, Milton, Swedenborg, Cagliostro, Goethe, Balzac, Novalis, Kardec, Schuré, Conan Doyle, Huysmans, Ivan Goll, André Breton, Fulcanelli. The featured works are all from the collection of the Bibliothèque nationale universitaire de Strasbourg. Baldung Grien, Brentel, Cranach, Dürer, Schongauer, Mantegna, Jacques Callot, Piranesi, Girodet-Trioson.